A new set of AI and AR tools that will soon be released will change the retail experience and the way people consume. The new services offer features that are customizable, accessible, personally assistive and better integrated into the daily activities of users of phones with Google’s Android systems. 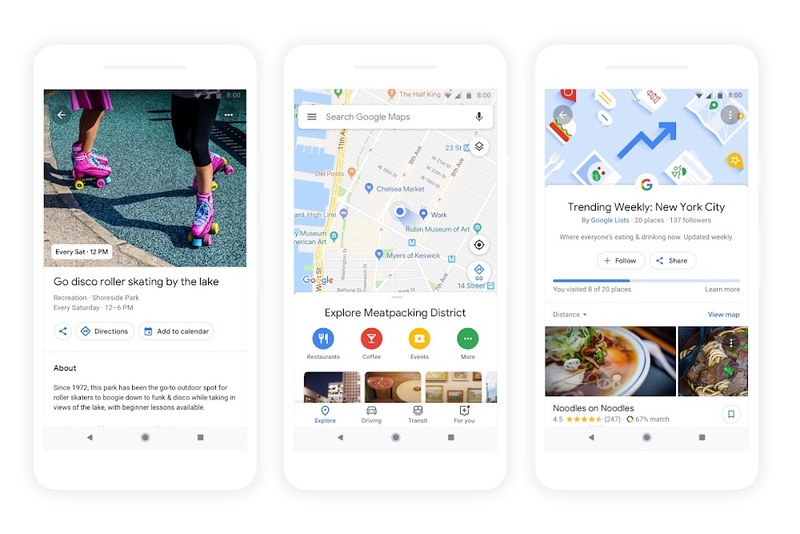 Google is set to transform the Google Maps platform into a one-stop shop for everything users could need to plan an outing, including curated content like the ‘Foodie List’ delineating the best options in a destination’s neighborhood, group planning and ‘match’ scores—calculated by Google’s algorithm based on previous activity to determine how well users will like a place. These features are poised to change how people decide what restaurants to frequent and entertainment to consume by offering direct, personalized recommendations. The Google Assistant will soon be able to make appointments and reservations for users even for bookings that can’t be reserved online. In a demonstration at the recent Google I/O confrence, the enhanced assistant called a hair salon and spoke to a receptionist on the other end, using natural language processing to carry out a verbal conversation with the salon employee and book an appointment at the time and date the user had specified. This new feature has the potential to transform the relationship between consumers and services, ultimately bolstering their rapport and making them mutually more accessible. Google is also investing in new ways to make online shopping in the real world possible with new functionalities on its augmented reality camera app, the Google Lens. The Lens’ new real-time recommendation and shopping feature lets users scan objects like clothing or furniture with their phone to view online reviews of the items as well as lists of similar products they made find interesting. Shopping in this manner permits consumers to make more customized decisions while it allows retailers to more directly connect with and target those interested in their products. As Google continues to enhance its services, it increasingly approaches an entire lifestyle system for users, finding new ways to assist consumers at every touchpoint and moment, from planning a Friday night out and booking hair appointments to shopping for new clothes. Ultimately, these updates to Google’s various services put people in touch faster and more efficiently with retailers and brands that are pertinent to them, personalizing consumers’ options and revolutionizing how businesses reach their target audience.